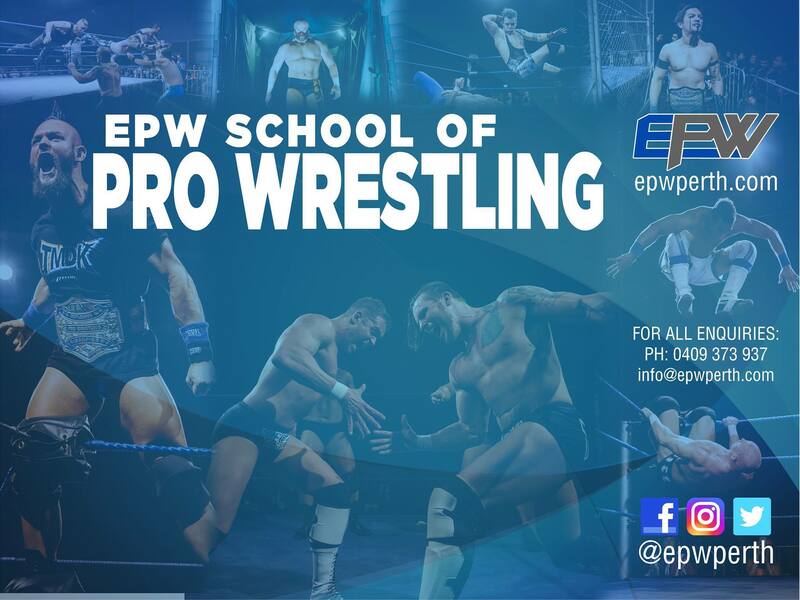 This Sunday the 29th of October the EPW School of Pro Wrestling is having an open day for a new intake of trainees. 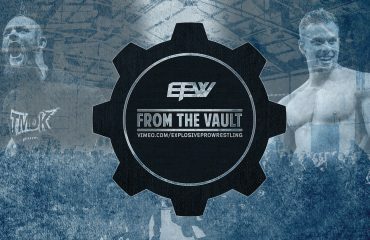 This has made me cast an eye backwards 16 long years ago, to when I first heard about EPW (then ECW) and made the life changing decision to try my hand at the art form I’d grown up following on TV (and trying to emulate on moldy old mattresses in my mate’s backyard). That first training session went over 2 days was one of the most physically demanding weekends of my life. Thankfully we’ve toned it down a little bit since then, but this was right around the time that Tough Enough was a big hit in the WWE and every trainer wanted to be Bob Holly or Taz. We were basically beaten up mercilessly, had head hunter clotheslines thrown at us intentionally to see how we would handle it and made to just run and run and run and run and then run some more. It was a straight up military style boot camp which was probably more about stroking the egos of the young trainers as much as it was about giving us a taste of wrestling but nonetheless, it worked a treat. 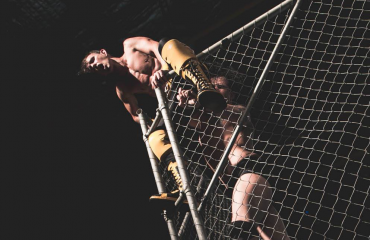 I loved the physicality, I loved how it pushed me to my limits, I loved that I was bumping in a real wrestling ring, I loved the comradery that grew between me and my fellow trainees and most of all I just loved how much I loved the whole thing. It instilled in me a passion for professional wrestling that I still have to this day. It also gave me a cracking headache that lasted about a week…probably the first of many undiagnosed concussions, but that never took away from how I felt about the place. Thankfully as the trainers have matured over the years the military style has been replaced with a more caring, sensible and nurturing approach. Still fostering the same respect for pro wrestling that it deserves, but without the head high lariats and half marathon warm up. Over the years I learned more than just how to bump. Being involved with EPW taught me all about weights and dieting, mental toughness and the importance of putting a team ahead of the individual. It showed me how to push myself to my limits when no one was around to watch. I grew from a skinny teenage boy into a grown man within the confines of an EPW ring and there’s no doubt that it’s hugely, if not mostly, responsible for the man I am today (for better or worse…). I was recently married and it’s no coincidence that my bridal party consisted of 4 members who have also attended various EPW training camps and 3 of them I actually met because of my involvement with EPW. It really is a family. When I think about how much of an effect rocking up at that training camp has had on the trajectory of my life, I thank my lucky stars that I chose EPW and not some other mob to train me up. The trainers weren’t perfect but they had the right attitude; that constant improvement wasn’t an option, it was mandatory. It’s an attitude that has stuck with me in all facets of my life, not just in pro wrestling. 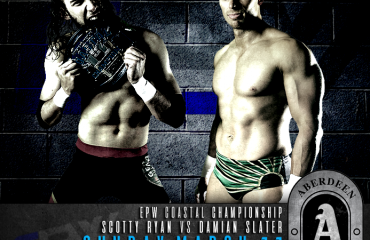 I ended up debuting on an EPW show, doing my time in the lower card, working my way up to the main event and eventually winning the EPW championship. From there I travelled back and forth to the USA to attended various training schools and camps, all of which were amazing but none of which had the same feel as our beloved little school back in Perth. All of this was done with my best mates in tow and created memories and stories that we still look back on now. My time as a wrestler has been over for a long time now. I now work offshore as a heavy lift crane operator but would you believe it, those lessons I learned way back at my very first EPW Open Day are still with me. The swings are tough, but I know I’m tougher. The days are hot but I’ve spilled more sweat on old gym mats on a cold winters night than I ever will on a steel deck in 40 degree heat. My crew mates here are my team mates now, all with different stories and backgrounds just like my fellow trainees did. I’ve only made 3 smart choices in my life and this was one of them. If you’re thinking about getting down to the EPW Open Day, stop thinking about it. Register your interest by emailing us at info@epwperth.com. Visit the EPW School of Pro Wrestling Open Day Facebook Event Page for more information.